Destiny players are a lot like World of Warcraft players, they are willing to grind through hours and hours of the game gameplay to get a better piece of equipment to grind away more hours. This was recently made a bit more worth while when a German player finally got their hands on the Crux of Crota, the super rare drop that upgrades the Eidolon Ally to the Necrochasm. 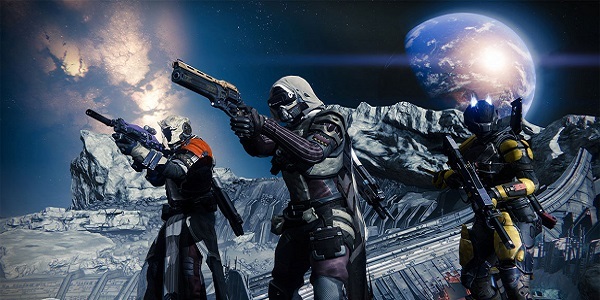 Destiny power leveling might make the game become a simple. While this was, at first, an exceptionally rare drop, the weekly reset has kicked it into a higher gear that has seen more players get their hands on the Crux. According to Bungie, there have been millions of successful runs on Croat’s End on the hardest difficulty since it dropped last Wednesday, so it’s likely that in order to get your hands on Nercochasm you will need to complete the run multiple times. The above-mentioned German gamer has said that you must have the Glowhoo Shader equipped to get the Crux to drop. At the moment, there’s no real information on just how low the drop rate for the Crux actually is, but the Destiny community manager, commonly known as Deej, did confirm that the Crux of Crota is on the “end loot table” for Crota but he wouldn’t give any information regarding the drop rate.